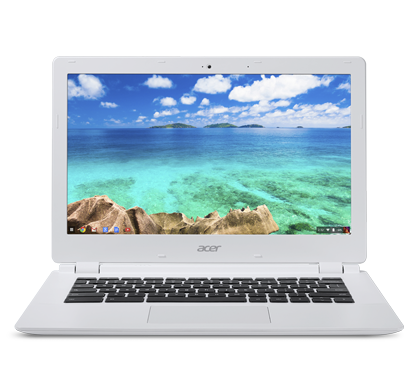 Acer Chromebook 13: The best Googletop on the market? 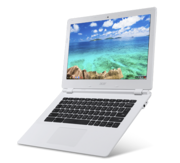 Is the Acer Chromebook 13 the best Chromebook on the market? That's a tough one. I can't claim to have tried them all, but I'll admit I was impressed. So is the 1920 x 1080 version the model to get? For my eyes, the extra pixels make the menu and tab text too small on a 13-inch display. Still, the extra 16GB of storage might come in handy but having a full-depth SD card slot will plug the gap for most people. Also, I didn’t notice any extra benefit from the additional 2GB of RAM, but I suppose it adds a level of future-proofing if you're likely to hang on to it or pass it on. 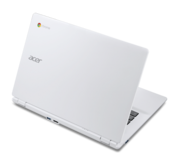 74% Acer Chromebook 13: il notebook dall’autonomia infinita! 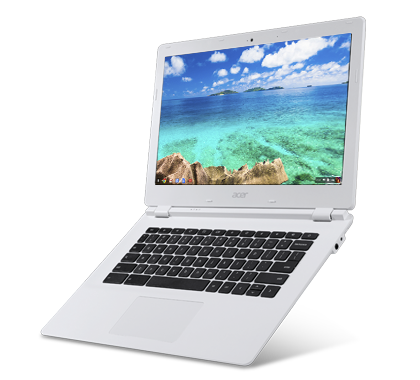 The Acer Chromebook 13 CB5-311-T9B0 is a slick, lightweight device with decent functionality. 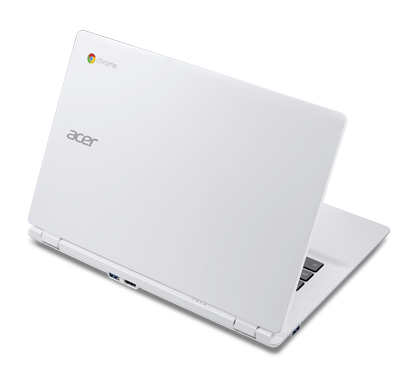 The white chassis with black island keyboard represent the look of a standard modern device. 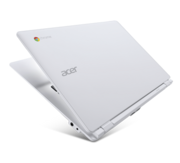 Running on the Chrome OS, the Chromebook is packed with an Nvidia Tegra K1 quad-core processor clocked at 2.10 GHz, 2 GB DDR3L SDRAM and Nvidia Kepler graphics with shared memory. 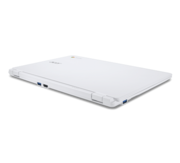 The 13.3 inch Active Matrix TFT Color LCD with FHD resolution delivers good colors and clarity. 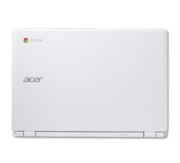 The Acer Chromebook 13 CB5-311-T9B0 also comes with an internal SSD of 16 GB. Capacity is scarified in order to keep the device light and fast. Users can expand memory capacity with an SD card. 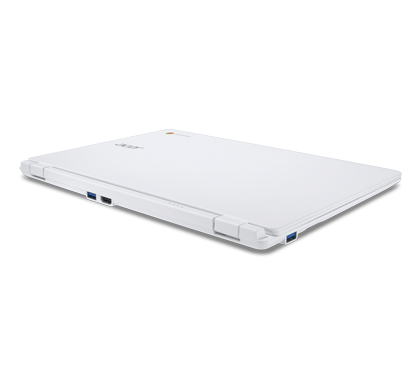 Other features include a HDMI port, webcam and 2 USB 3.0 ports. 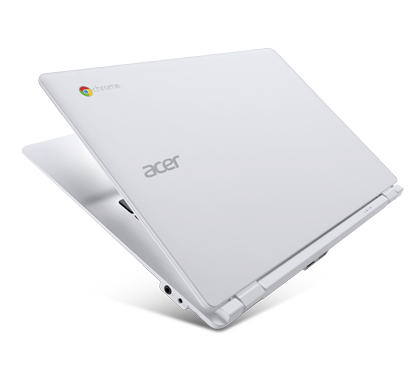 The total width of the Acer Chromebook 13 CB5-311-T9B0 is 12.9 inch (33 cm) and weighs 3.31 lb (1.5 kg). 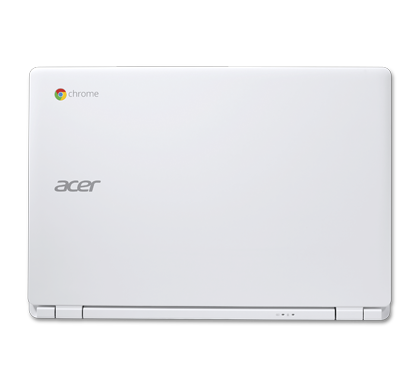 The Chromebook is powered by a 4-cell lithium-ion battery rated at 3220 mAh, which enables a runtime of 11 hour usage.